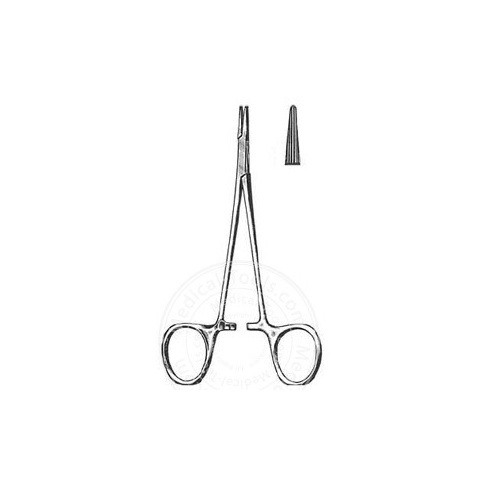 Needle holders are also known as needle drivers and used to firmly grasp the suturing needle for maximum control. Most of the Needle Holders look like ring scissors with locking ratchets. The ratchets allow the needle to be secured in different positions and different pressures. Needle holders typically have a textured tip for a secure grip. 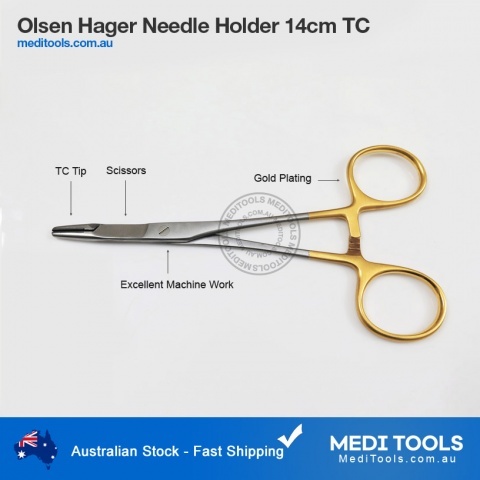 TC tip needle holders have gold-plated rings. Tungsten Carbide (TC) tip is more durable, lasts longer and provide better grip. 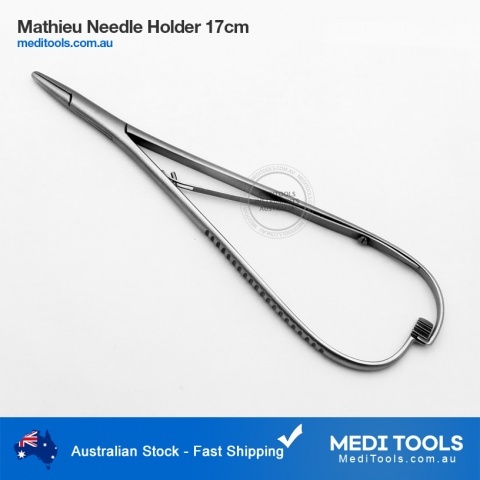 Needle holders are available in a wide range of shapes, lengths and tip sizes. 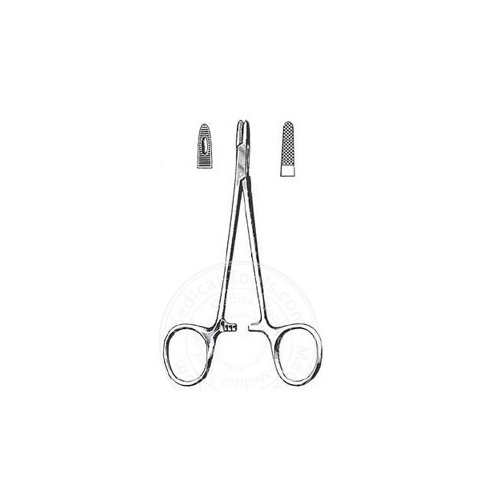 Shorter length needle holders may be used in minor procedures or in small animals. 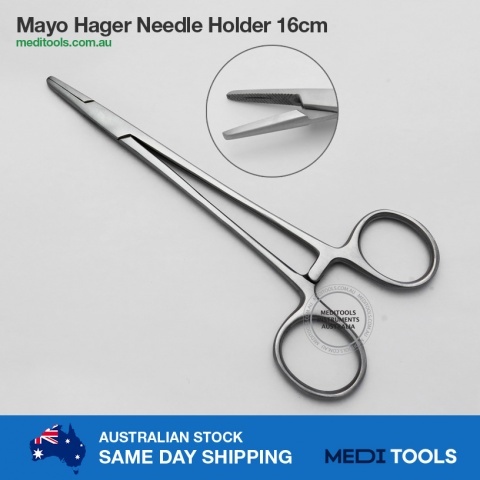 Long needle holders may be used for deep tissue suturing or in large animal procedures. 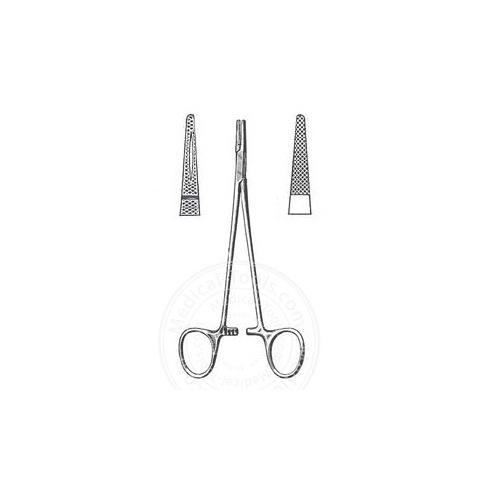 Olsen-Hager needle holders have a scissors portion used to cut the suture. 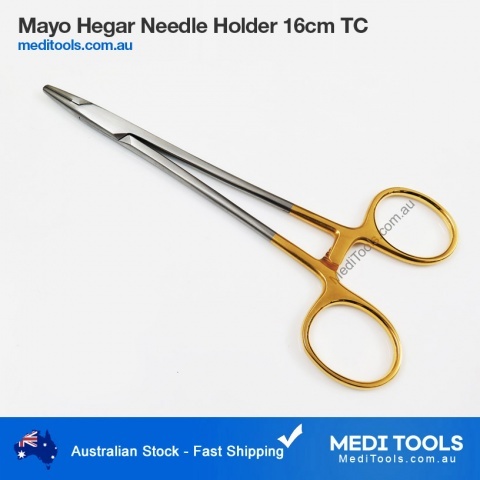 Mayo-Hager, Olsen-Hager, Castroviejo, Mathieu, Crile-Wood needle holders are most commonly used. MediTools needle holders are individually handcrafted for precise control.